Being a responsible pet owner involves choosing the right diet, providing regular veterinary care, and tending to your dog’s every physical and emotional need. Something as simple as choosing a leash should be the least of your worries…right? The truth is, retractable dog leashes are dangerous. 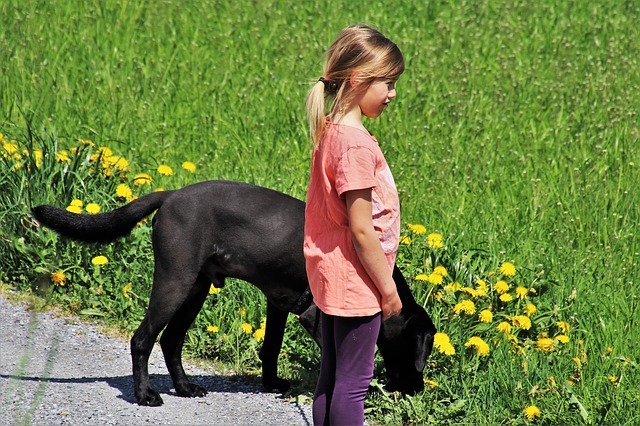 Not only do they offer little control during walks, they are often directly linked to serious injuries in people and pets. Retractable dog leashes typically have a thin cord that extends 10 to 25 feet from a large plastic handle. The handle features a button that locks and retracts the cord, so dog owners can regulate how much leeway their pups have at any given time. While it all sounds great in theory, retractable leashes are prone to malfunctioning. The entire apparatus depends on the retraction mechanism, which can stick or fail entirely when dirt gets inside the handle or the cord becomes knotted. Their unreliability coupled with the dangerous situations listed below will make you want to ditch your dog’s retractable leash today! 1. The handles are bulky and difficult to hold. Traditional dog leashes have a simple loop small enough for most children and adults to hold comfortably. The handles of retractable leashes, on the other hand, are made of thick, hard plastic and can be difficult to grip. Should your dog make a sudden sprint for a nearby squirrel, the handle can easily be ripped from your hand. This leaves your dog at risk of being hit by the heavy handle or even becoming lost. 2. When retractable leashes break, people can suffer serious injuries. Some unlucky pet owners sustain horrific injuries from retractable dog leads. The most common involve tripping, tangling and minor rope burns. More gruesome are the stories of people suffering fractures and even amputations when the cords become wrapped around limbs and fingers. Facial injuries are also startlingly common when retractable leashes malfunction. Incidents include lacerations, broken bones and broken teeth caused by flying screws, bits of plastic, and the whip-like leashes themselves. 12-year-old Dereka Williams sustained partial, permanent blindness in one eye due to her dog’s retractable leash. The metal clasp attached to the dog’s collar suddenly snapped, sending a fragment of metal hurtling backward into her eye. 3. Retractable leashes offer too much freedom and not enough control – sometimes with tragic results. Believe it or not, your dog can be hit by a car while walking on a retractable leash. One of the most heartbreaking memories I have from my years as a veterinary technician involves this very situation. 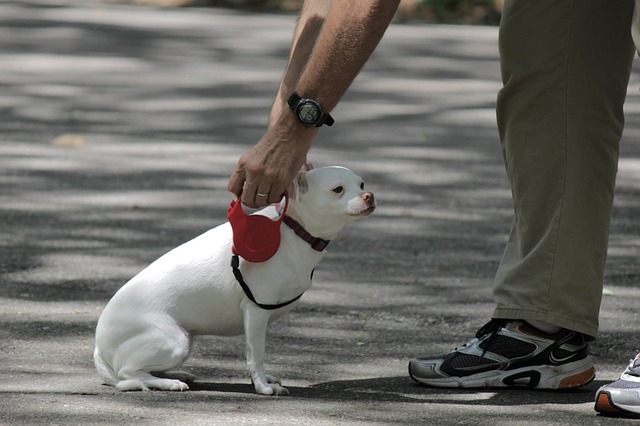 A client was walking her Chihuahua mix on a retractable leash when the dog suddenly darted into the street. She was hit by a car and passed away before the owner could get her to the clinic for treatment. In addition to veering into the road, dogs can get into a variety of other dangerous situations when walking 10 to 25 feet ahead of you. They may eat something harmful, accidentally tromp through a red ant hill, come face-to-face with a snake, or encounter a not-so-friendly pup. Large dogs may even snap the cord or pull it loose from the handle during a surge of adrenaline. It is impossible to protect your pooch from every potential hazard, but your chances are better with a traditional leash. 4. Walking on a retractable leash teaches dogs bad habits. Retractable leashes teach dogs all they have to do to gain more freedom is pull on their leash. From a behavioral standpoint, this is the opposite of what you want your dog to learn. 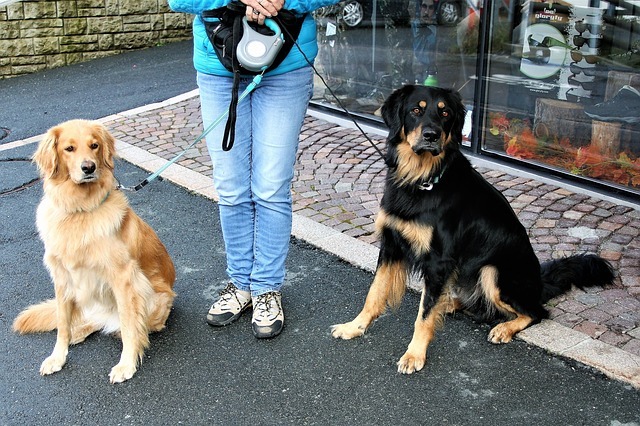 Ideally, dogs should walk calmly at their owners’ sides. 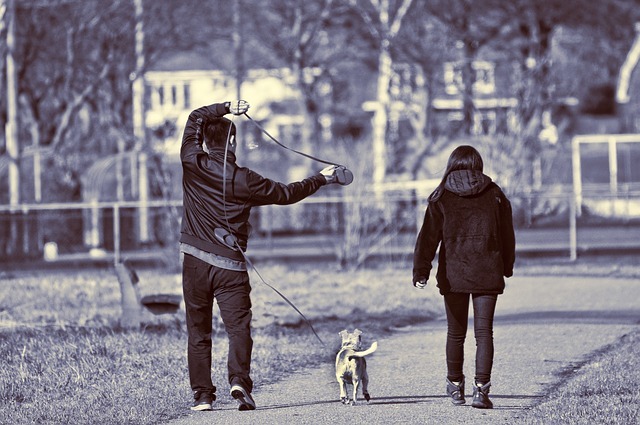 The leash should be slack, not taut, and the dog should never step beyond the owner’s hip. Karen Peak is a professional dog trainer in northern Virginia, and the founder of the Safe Kids/Safe Dogs Project. She forbids the use of retractable leashes in her training classes, having witnessed far too many injuries and mishaps. “They should never be used on neighborhood walks or in stores or other situations where there might be distractions that can make a dog suddenly bolt,” she says. 5. Sudden stops may cause back, neck and tracheal injuries to dogs. Retractable leashes can be especially dangerous for small breed dogs, seniors, and those with spinal issues. Depending on the size of the leash, the stop button can cause quite a jolt. Similarly, the dog receives a sudden jerk when the leash runs out of cord. These jarring impacts can damage the neck, trachea and spine. 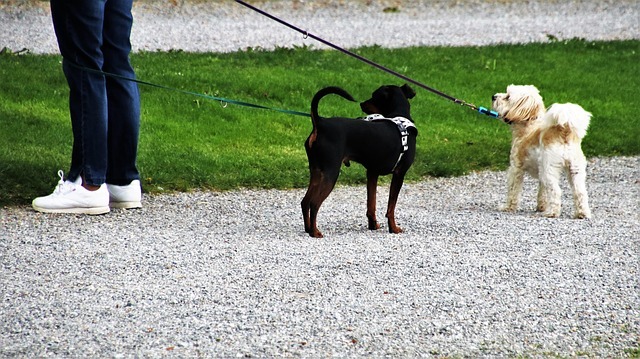 What kind of leash should you choose instead? Traditional four to six foot leashes are a safe bet for the average dog, unless your veterinarian or trainer recommends a specialty lead. Whether you choose to go with a length of four feet or six feet depends on the size of the dog and your personal preference. You want the lead to comfortably extend from your hand to your dog’s collar or harness. There should be enough slack to keep the line loose when your dog is walking by your side. Choose a leash made from sturdy, long-lasting material such as heavy-duty nylon, leather or paracord. If you are looking to reduce your pup’s carbon pawprint, some companies make quality leads from recyled bicycle inner tubes or plastic water bottles.